Hayley has always been exceptionally talented and mature for her age, which has won her many fans and firmly established her on the road to international success. She has also been highly praised by many influential people in high places in the music business. However, while she was still under 18, Hayley would not have had the same freedom in her career that she is now beginning to enjoy. Now she's 18 at last, nobody can dispute that Hayley is a fully-fledged young adult entertainer who already has several years experience worldwide. Her age is no longer a major issue, and she can now employ her remarkable talent to the full. Already a whole new world of opportunity is opening up for her, as hinted at in the reviews of her recent concert with Jose Carreras at Hampton Court. Hayley was fortunate in having a steadily developing international singing career at the time she turned 18. She's obviously very happy with herself and her career, so she will not find herself in the position of trying to relaunch herself with a new image when she's 19. Her career is certainly entering a new phase, but it's a perfectly natural transition for her. She can also have a bigger say in the running of her career from now on, and she's already demonstrated her driving skills there. Well said that man. There is nothing to add to that, other than to say I could not agree more and wish Hayley greater success than she would ever wish for. I've just been looking at this thread... 'HWI' looks to have a very bright future. 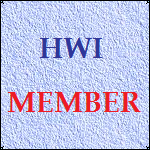 I don't know what we'd do without the "key players" of 'HWI'. You will have noticed Keith's post in this thread. I wonder what Keith would say about the state of play with 'HWI' now? Do you think he'd be proud of us? I'm sure he would be. He'd most likely say that the 'HWI' Videoplayer all started thanks to Belinda. If it wasn't for Belinda's clips of 'Lullaby on Broadway' and 'Groovy Kind of Love' we wouldn't have been inspired to include all the rest of the sequence of clips which appear in it! Keith would be proud of Simon for maintaining the co-ordination of the 'HWI' Website and all the blood, sweat and tears that that involves! Keith would thank Roger for all his hours of work co-ordinating the Forum. I'm sure he'd be extremely grateful and proud of all Hayley fans worldwide for all their support and commitment to Hayley, her family and to this Website. We are all one BIG happy family here which continues to grow from strength to strength! Incidentally I've noticed that Belinda hasn't logged on for a while. Does anybody know where she is? Is she on holiday or something? She was spotted on the All Angels International website yesterday morning. Perhaps she has defected. We have not seen any representatives from north of the border there yet! many happy Memories glad you liked them. there are some early interviews i thought HWI had from around when Hayley's album Hayley Westenra NZ release. came out. But i can't find them on there. I still have the video with them on. Keith i'm sure would be pleased HWI has been carried on. we all make this place what it is,but the three above have to put it togeather . It does not bare thinking about there not being a HWI. who me defect where would i go. Those are very kind words! It's lovely to see you back here- I was getting rather worried about your absence on here!